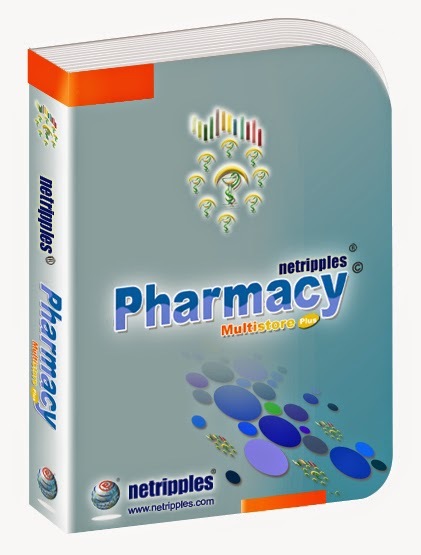 MultiStore Pharmacy Management Sys Netripples MultiStore Pharmacy Management System Plus is a comprehensive solution designed to automate the activities of the MultiStore Pharmacy Management System Plus which includes, Managing Drug Database Drug Location, Managing Drugs expiries, Managing Suppliers, Managing Purchases, Managing General Surgical and non Surgical Items, Managing Sales, Managing multiple counter and Billings, Finance & Accounting, Pharmacy Staff management and many more. You will find over 100 Individual/Summary Reports which provides you day, week, monthly or any periodic reports anytime. It is designed with an easy-to-use user interface with Pharmacy Store Logo, Address and other header setup and utilities to add SMS and other Mobile access features. Manage Locations : This screen helps in managing Drug storage locations and setup and recognizable ID, Rack, Box or any such setup for easy Drug pickup while issues with an automation of location ID. Manage Drugs : This screen helps to ManageDrugs. You can ADD, MODIFY a Drug with its Parameters like Drug type, Generic Name , Drug name, Drug Location, Strength, Reorder level, Manufacturer and Setup of customized PLU number or Bar Code. Manage Suppliers : This screen helps in managing Supplier or Vendor Data. You can Add, modify Supplier Information like Name, Address, Identification and Grade or Supplier Priority/ Type Data. Purchase Orders : This screen helps in managing Purchase orders and help in Issue of Purchase orders, Manage Suppliers Data, Manage Discounts, Manage Free Quantities, Manage Special rates, Manage Package Quantities , Manage Receiving Instructions Manage Delivery Locations, Manage Special Instructions for Deliveries, Manage Drug Type along with relevant Standard package quantities. Manage Orders : This screen helps in ordering drug to the Central pharmacy. Manage Receiving : Once the drug has been issued from central pharmacy this screen facilitates the process to receive the issued drugs. you are welcome to write comments on this product. India Support & Development Center.